AgroFresh is a global leader in advanced proprietary technologies for the pre-harvest and post-harvest horticultural market. AgroFresh is a fast growing company dedicated to working with customers internationally to apply the benefits of its products and services, including its award-winning 1-MCP (1-Methylcyclopropene) based technologies that suppress ethylene development and its degrading effects on produce. Having built up incomparable knowledge and international commercial experience over the past 15 years with its proprietary 1-MCP, AgroFresh supports growers, packers, shippers, exporters and marketers in their delivery of superior quality produce. 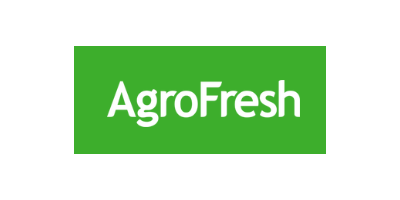 AgroFresh is a fast-moving, dynamic company dedicated to delivering integrated solutions for more freshness and quality, every step of the way from field to market. Collaborating closely with our customers, we continually research and develop unparalleled solutions that benefit the entire supply chain, and improve the quality of life for all. We combine deep scientific knowledge with applied industry know-how to extend shelf life of the best-tasting produce, prevent food waste and conserve our planet’s resources. In every aspect of our business we are determined to attain the highest standards of health, safety and sustainability. AgroFresh values encompass health, safety, security, the environment and sustainable development. All of these are of utmost importance to us. Providing our employees with a safe workplace, and ensuring that our customers, communities and other stakeholders understand our uncompromising commitment to safe and secure operations and products. Striving to ensure that our business, processes and products not only consider the needs of the present global community, but also the ability of future generations to meet their needs. Helping to reduce food waste by developing and offering modern technologies that reduce measurably the number of spoiled and wasted fruit before and during harvest, during storage and throughout the supply chain up to the consumer, at home. Contributing to increase nutrition by marketing technologies that maintain the texture, appearance and nutritional value of fruits and vegetables. Allowing for energy savings and carbon footprint reductions. Continuously benchmarking and improving our worldwide operations, processes, and products against the Life Cycle Assessment we have conducted. Meeting or exceeding all applicable laws and regulations. Striving to prevent or reduce pollution from emissions, discharges and waste. Listening and communicating respectfully with our employees, contractors, suppliers, customers, neighbors, governments and other stakeholders. Ensuring standards and procedures, as well as adequate resources, are available to implement the principles described in this policy. More than 80 comprehensive international health and environmental tests have proven AgroFresh's 1-MCP technologies to be safe for workers, consumers and the environment. Studies and tests have been carried out strictly under internationally accepted Good Laboratory and Experimental Practices by well-known, experienced and respected research organizations. AgroFresh is committed to the regulations of each country. So far, registrations have been obtained in over 45 countries worldwide. Registrations include the Environmental Protection Agency (EPA), U.S. and the European Union. As worldwide demand for our products and services continues to grow, AgroFresh continuously seeks new registrations. AgroFresh's 1-MCP technologies do not leave any residues neither in or on the fruit, or in the environment. The explanation is simple: The active ingredient is comprised of a simple carbon and hydrogen molecule. After it attaches to the ethylene receptor site, it is broken down by the fruit's natural process and biodegrades into simple molecules containing carbon, hydrogen, and oxygen which are naturally present in the atmosphere.